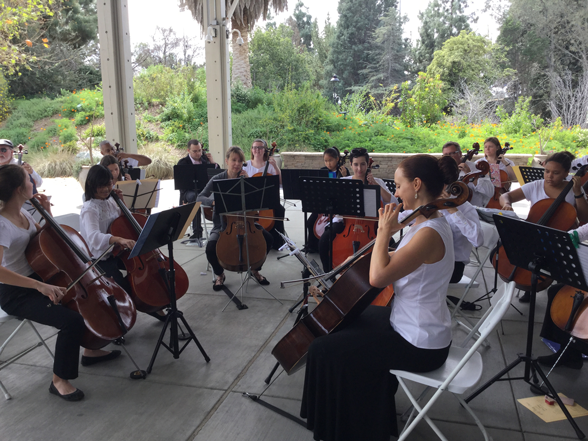 Artistic Director Dr. Carter Dewberry founded the OC Cello Choir primarily to provide her cello students with unique performance opportunities. Having grown up playing in the Michiana Cello Society's orchestra, Carter recognized early on the power and beauty of an ensemble of cellos. She has since organized numerous cello ensemble performances. Having played in classical, pop, rock, jazz, folk, and electronic ensembles, Carter also enjoys creating diverse performance experiences for both musicians and audiences. Her cross-genre programs nearly always involve a visual multi-media element. In addition, for the performers' benefit, she seeks out (or creates) arrangements that will allow nearly all levels of cellist, from advanced to near beginner, to participate in the fun. Musicians in the ensemble range from ages 10-75. Each member brings a unique background and perspective to the cello and the group. Some aspire to a professional career in music. Others are established professionals in non-musical fields looking to their cello as a creative and/or social outlet. And, a few have multiple careers and passions. Whatever the story, these cellists want to play and share their passion with other cello lovers. Members of the OC Cello Choir believe that performing together as an ensemble increases our individual joy for the instrument. For more information on the OC Cello Choir, please contact Carter. The OC Cello Choir in 2017. 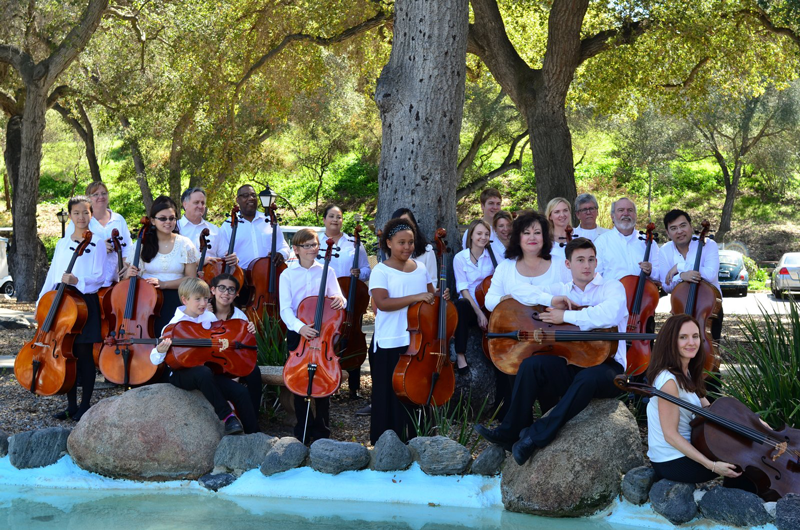 The OC Cello Choir in 2015. 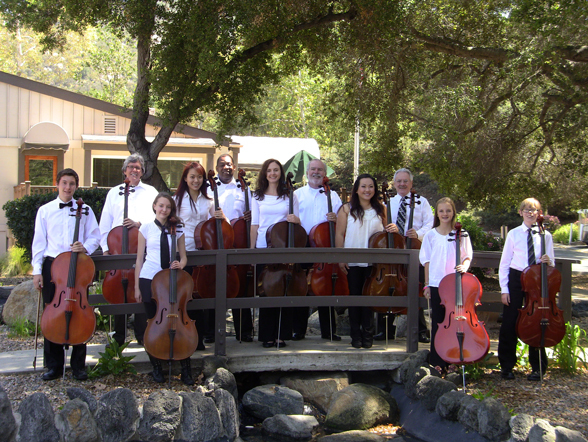 The OC Cello Choir in 2013. 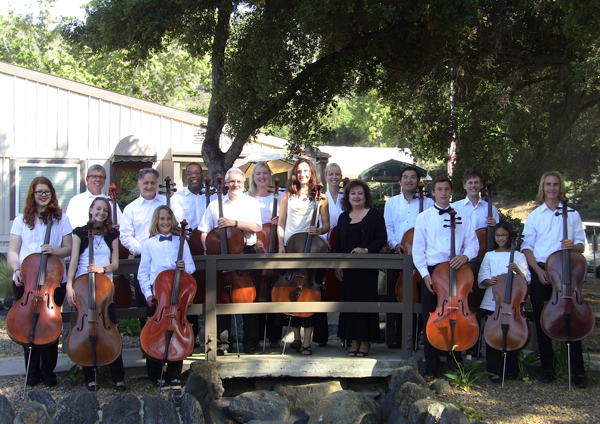 The OC Cello Choir in 2012.